When Island City Mall first opened its doors in 2004, it redefined the Boholanosâ€™ concept of shopping, dining and entertainment. The mall easily became not just a shopperâ€™s paradise but a focal point for diverse activities where people readily converge, friends meet and families have fun.Â Here, we counted twelve reasons why we say cheers on the occasion of Island City Mallâ€™s 12th anniversary. ITâ€™S A MALL WORLD AFTER ALL. The flagship venture of Boholâ€™s pioneering Alturas Group of Companies is the ultimate one-stop shopping, dining, leisure and entertainment center in the island. 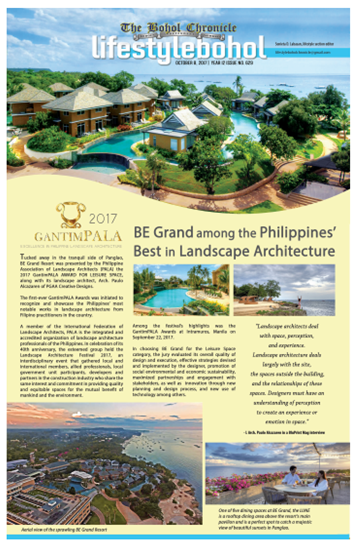 A stunning architectural masterpiece replete with state-of-the-art amenities, it has become a landmark and is considered a centerpiece of the economic progress of the capital City of Tagbilaran. A DESTINATION IN ITSELF. Situated adjacent to the Tagbilaran Central Public Market and the Integrated Bus Terminal, which serves as the gateway to the forty-seven towns of Bohol, the mall always draw thousands of shoppers daily, especially passengers and commuters coming from the different parts of the province. SHOPPERâ€™S HAVEN. With over 40,000 square meters of prime malling convenience, ICM has all the complete anchor stores and tenant shops consisting of top leading brands to provide great shopping pleasure. It has specialty shops, signature and fashion centers, service shops, amusement centers, fun houses and other amenities such as Activity Center and exhibit area. Easily accessible, the mall has the widest parking space for every shopperâ€™s convenience. FRESH MARKET. The mall takes pride of its spacious supermarket which has the widest array of groceries and other household items, plus a variety of the freshest fruits and vegetables at the Fresh Market Section, the meat products straight from the chopping boards, and the fresh catch at the Seafood Section. What makes Island City Mall stands out from the rest is the abundant supply of fresh products straight from it owns farms, the Marcela Farms, Inc. FINEST IN HOME AND FASHION. The Home & Fashion Department has the finest brands in fashion, carrying a wide variety of popular names like Leviâ€™s, Lee, RRJ, Jag, etc. in the menâ€™s, ladies,â€™ and childrenâ€™s apparel sections. The galore of tenant shops like Penshoppe, Guess, Bench, Fila, etc., also makes shopping fun and exciting. The Furniture and Kitchenware Sections have the best and the finest furniture, kitchenware, and appliances for great home enhancement! DINING SATISFACTION. Also inside the mall are some of the top local and international fastfood chains in the country, like Jollibee, Chowking, Greenwich, and Kentucky Fried Chicken. Thereâ€™s a Foodwalk at the lower ground level, with the best of everything from delectable menus to thirst-quenching drinks and other desserts. An ideal place for a wholesome dining experience, The Prawn Farm is a must-appreciated grill and seafoods resto, where one can enjoy a wholesome meal in a very cool and accommodating ambience. COOL RENDEZVOUS. There are more reasons also to hang out with someone and sip anything hot or cold at the cafes and coffee shops like Boâ€™s Coffee and the The Buzzz CafÃ©. THE CINEMATIC EXPERIENCE. At the second the floor are the four state-of-the-art Dolby Stereo and Dolby Digital Surround EX cinemas at Screenville. One can experience total cinematic adventure in watching the latest blockbuster flicks through nationwide and world premiere showings in 2D and Digital 3D. A live boxing coverage is also aired occasionally on the widescreen. ENTERTAINMENT GALORE. Wholesome events are consistently happening at the Activity Center, featuring local talents, or top national celebrities. Concerts with popular bands and other big artists are always held at the spacious Carpark. FUN, FUN, FUN. One can never miss the fun and excitement at the World of Fun, with all the fantastic kiddie games to enjoy. The internet cafes at the mall also provide pleasure to everyone with cyber games and anything to surf on the net, or by just updating your Facebook and Twitter accounts. CONNECTIVITY. In terms of IT development, the mall has been attuned to global trends toward technological advancement. There is a gamut of computer stores like AAC Tech, Thinking Tools, telecommunication centers like Globe Telecom, RCPI, internet cafes like Netopia, and even digital and electronic service providers, whose technology and telecommunication players could showcase the latest hardware and software available.